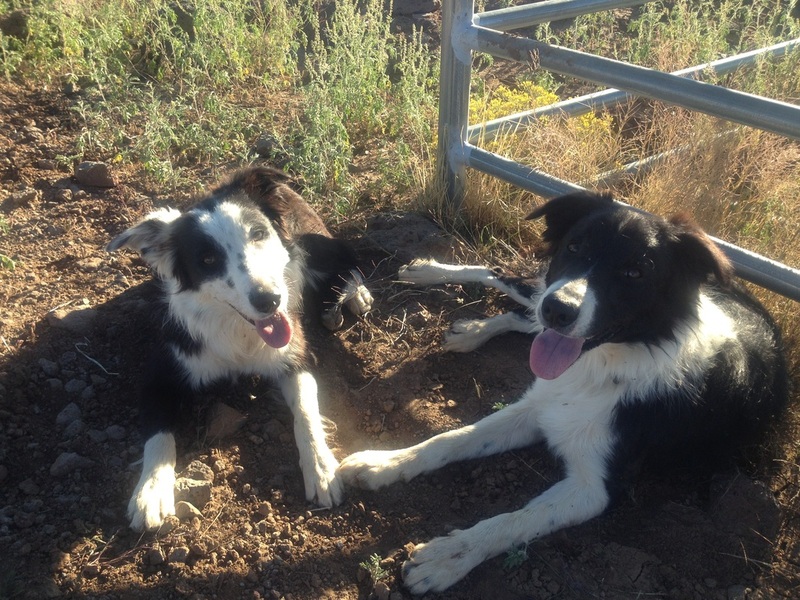 Spade and Kate rest in the Oregon high dessert bit of shade after an afternoon working cattle. 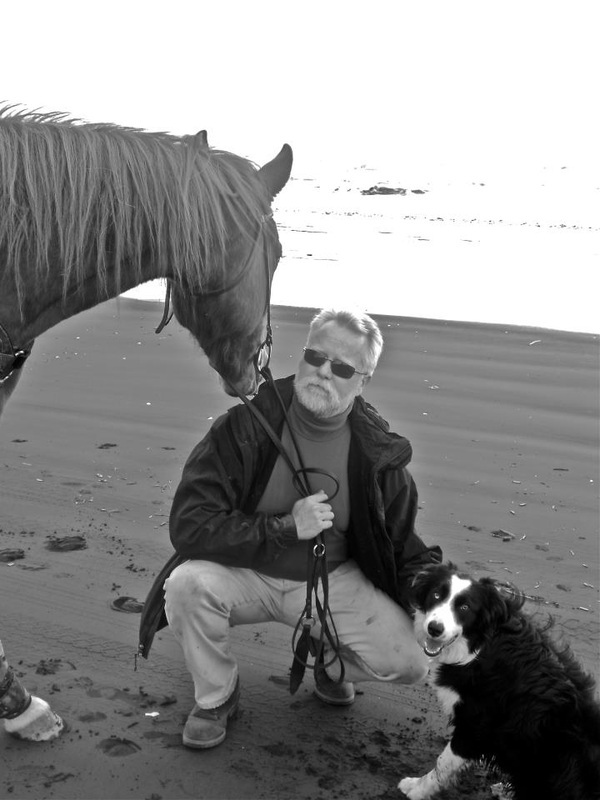 Jack and his owner along the Oregon Beach after a trail ride. Gerta running in the dog run area on a sunny spring day. Age 18 months. 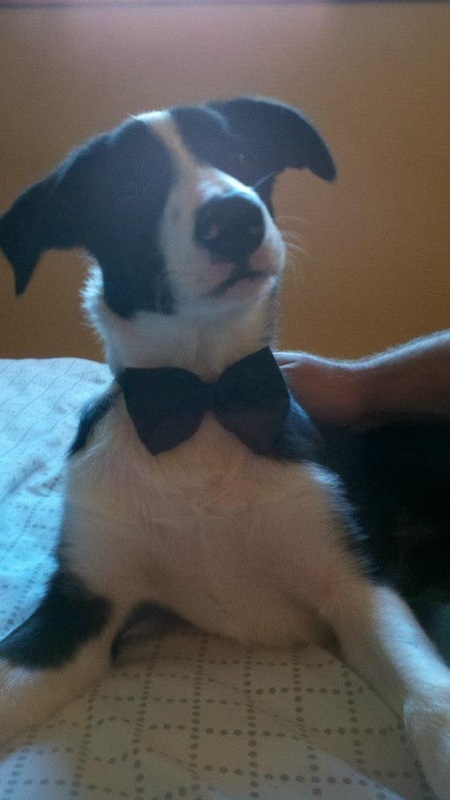 The Border Collie is an intelligent, energetic, hard working dog. The breed’s life expectancy is somewhere between 12 to 15 years. The Border Collie should have regular brushing to keep the coat clean plus to control shedding hair. Bath your border collie only when necessary, as the soap has been known to remove the natural oils in its weather-resistant coat. 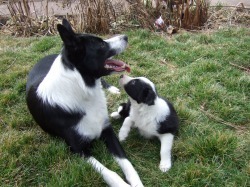 We train & raise Border Collies along with other livestock on our small farm. We do not breed for any one color, do not cull on spots, markings, or other show based traits as these dogs are working dogs for working situations. 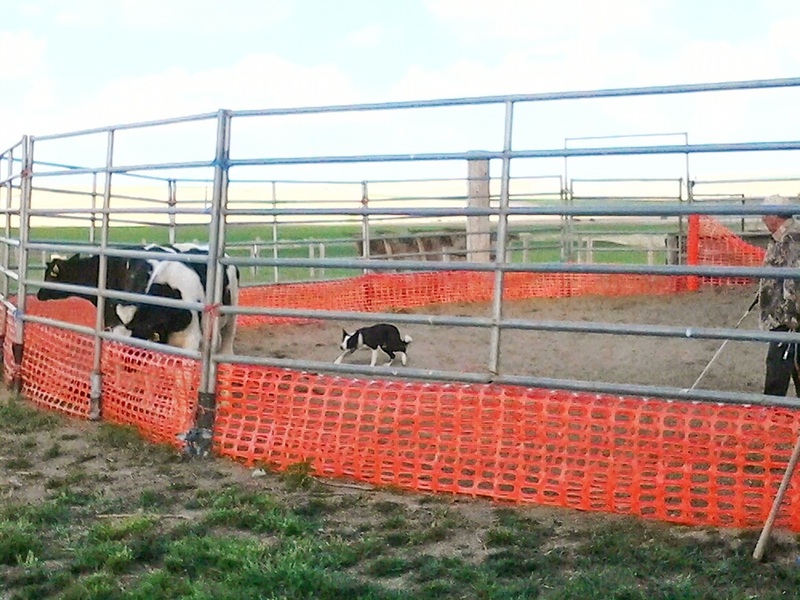 Border Collies were and are a breed to help a person work their livestock like another hired hand to the owner. These dogs who do not require overtime pay, health plans, or vacations. This breed of dog does require attention, devotion, and a job. We breed for personality, work ethic, drive, and ability. A Border Collie is a smart energetic dog that can be hole digging, kennel climbing, fence clearing in a single bound, prey driven dog. This breed can be blue, golden, or brown eyed, black and white, red and white, red or black merle, and many coat colors in between. We strive to raise dogs that when you bring livestock into their world the dog will give his or her all to please you while working their heart out with their livestock. Diamond Dot walking up on livestock, BRE Faith resting as per her handlers command, BRE Faith working on her come by (the way of the clock) on goats. We called this one Pirate Girl before she was placed with her owner who named her BRE Dottie out of Diamond Dot see mom in the picture on the right. Diamond Dot her first day on livestock at a Ron Green Clinic in Eastern Washington near Warren, WA. Shotgun is doing a Bogart impression is his picture.